Although we are Cheshire based, here at Keytrak we have a wealth of experience in installing, repairing and maintaining door entry systems in Liverpool and surrounding areas. With more than 30 years industry experience and expertise behind us, we are the areas go to provider of domestic and commercial high specification security systems. So, if you are based in Liverpool and you are looking for the installation of a new door entry system, or you are having trouble with your existing system, then look no further than Keytrak. Working with you, our team of engineers can provide you with a friendly and professional service to ensure that you are left with a property which is as secure as possible. At Keytrak, we understand that no two security needs are ever the same as premises can vary in size and so can the internal security requirements and traffic passing through entrances. For this reason, we take great pride in offering a range of door entry systems in Liverpool which can be tailored to meet your individual requirements. 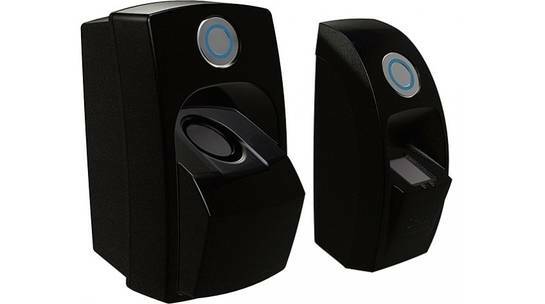 Currently we offer a range of systems which include audio door entry systems, video door entry systems and staff door entry systems. 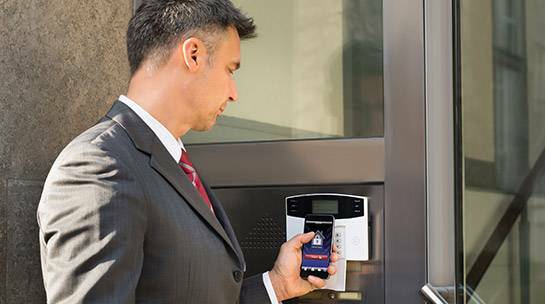 Each system provides you with a fantastic level of security and allows you to communicate with and identify visitors without having to grant access to your property. If you are unsure as to which would best suit your requirements, you can view a brief summary of our systems here as we discuss the best options for small premises/ business and the best option for larger premises and businesses. If we don’t have exactly what you want available, we can tailor almost any colour, shape and panel size to ensure that we can meet your requirements. So, if you’re looking for a reliable provider of specialist door entry systems in Liverpool and the surrounding areas, speak to a member of the Keytrak team today. We also offer specialist repair and maintenance services to ensure that you get the best performance from your system.